Low foaming extraction cleaner concentrate formulated for new stain resistant carpet and other extraction tasks. 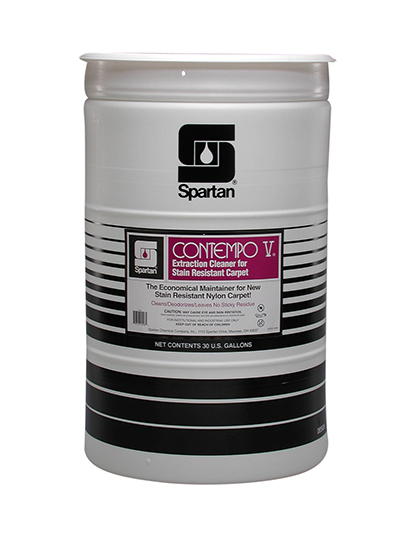 Low foaming, anionic detergents are the foundation of Contempo V. These anionic detergents actually increase the negative electrostatic field between soil and stain resistant carpet fibers, resulting in quick, effective removal of soil. Residue dries to a crystal for quick vacuuming.